Snowshoeing rarely gets the attention it deserves. It’s not as flashy as snowboarding or snowmobiling, but it is easier and more affordable than most winter activities — without skimping on the fun. 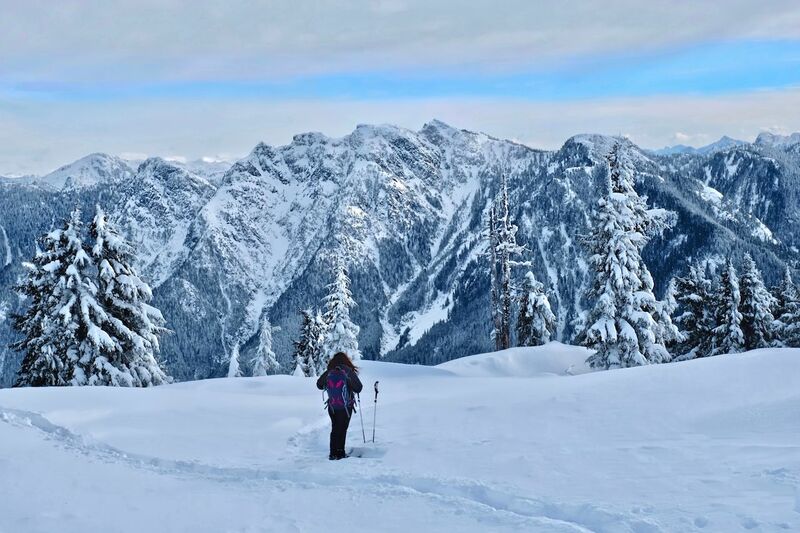 One big perk is that snowshoeing requires no instruction. It’s as simple as hiking in snow with the help of specially designed footwear, and poles for balance, so it’s only as challenging as the route you choose. Plus, snowshoe rentals are a fraction of the cost of ski gear, and you won’t need to shell out for a lift ticket — which can run you more than $100 a day during peak season. From just outside Vancouver to Rocky Mountain National Park in Colorado, these are the best places to snowshoe in North America. Banff is the crown jewel of the Canadian Rockies when it comes to winter sports. While skiers and snowboarders waste precious time mapping out runs and standing in chairlift lines, snowshoers make the most of the mountains by setting out on foot to discover the quietest pockets of the park. 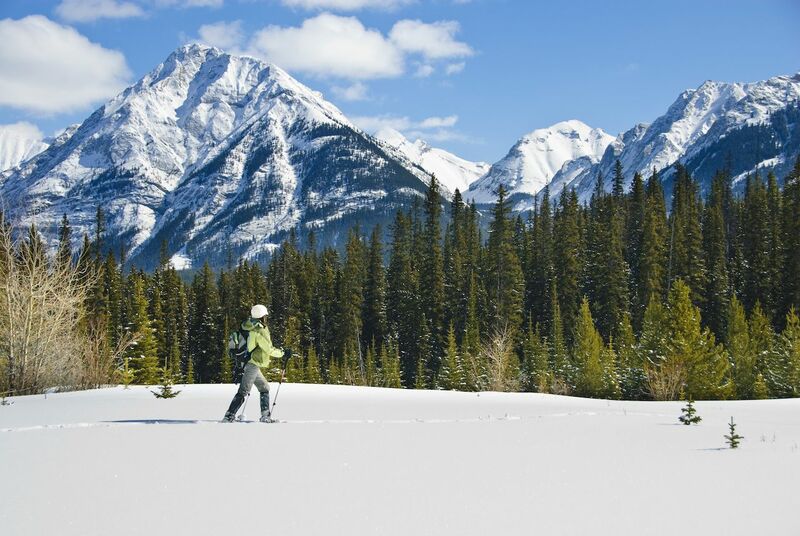 Snowshoeing is easy to organize at all the big resorts — Sunshine Village, Lake Louise, and Mount Norquay — though we recommend the Lake Louise Lakeshore Trail if you’re short on time. Guided tours are also available in Banff and generally cost between $50 and $100. 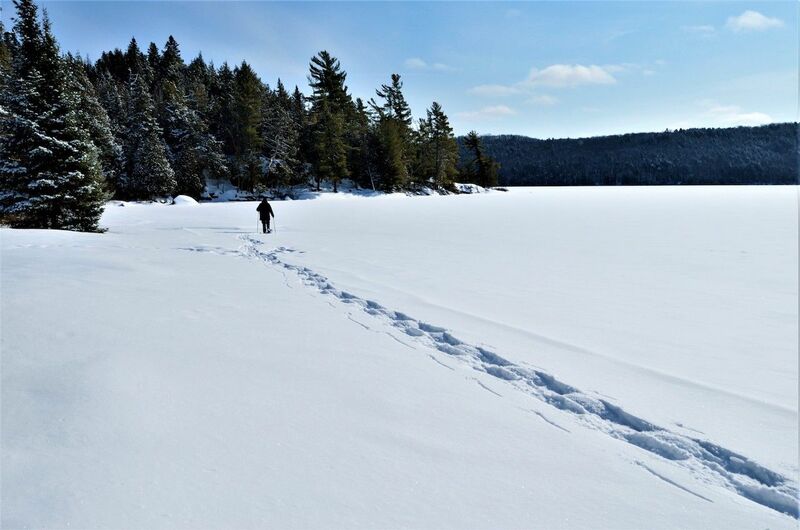 This snowshoeing hub in northern Ontario is full of both maintained and backcountry trails, appealing to snowshoers of all skill levels. The oldest provincial park in Canada, Algonquin is big spot for campers, even when it drops below freezing. Keep the wilderness fun going for a few days by reserving a yurt at the Mew Lake Campground or opting for a snowshoe-in backcountry experience. Permits for backcountry winter camping can only be arranged at the East or West Gate upon arrival. Whether you go for an afternoon or a weekend, be sure to check out the 10-mile Old Railway Bike Trail from the Mew Lake Campground for a smooth, scenic trek. Whistler is top dog when it comes to ski resorts in British Columbia, and sure, the snowshoeing there is great. But it would be a mistake to overlook the Cypress Mountain Resort just 30 minutes outside Vancouver. One of the venues of the 2010 Winter Olympics, the resort has seven miles of self-guided trails that cut through alpine forests dredged in snow, as well as guided excursions. Follow the Hollyburn Peak Trail to the summit of Hollyburn Mountain for the best views of Vancouver. Note that trails are open from 9:00 AM to dusk, and rentals are available up to two hours before closing. Apostle Islands National Lakeshore is famous for its sea caves, which are particularly popular among kayakers in the warmer months. But the caves are no less magical come winter when ice formations hang like chandeliers from the natural arches like a gateway to Narnia. 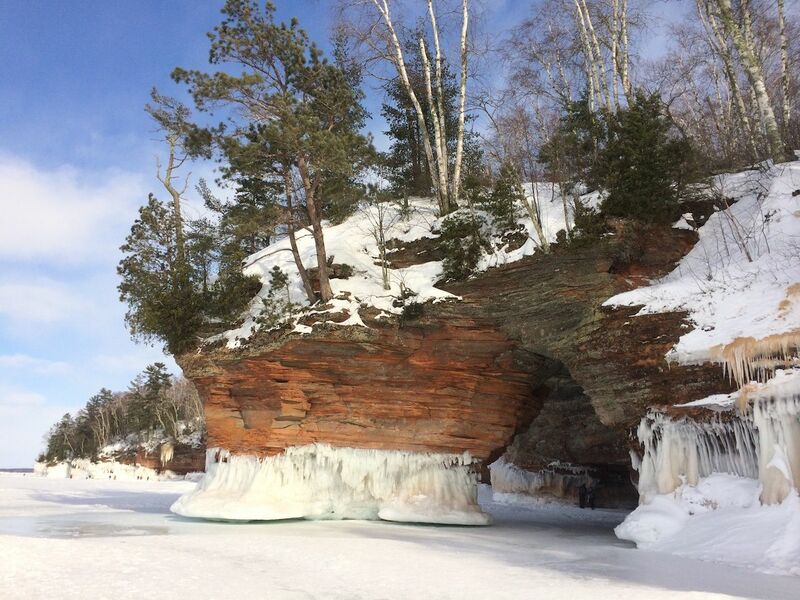 To reach the ice caves by snowshoe, follow the mile-long Lakeshore Trail from Meyers Beach. It can be tricky at points, so check in with the rangers at the visitor center in Bayfield about routes and weather conditions before you embark. 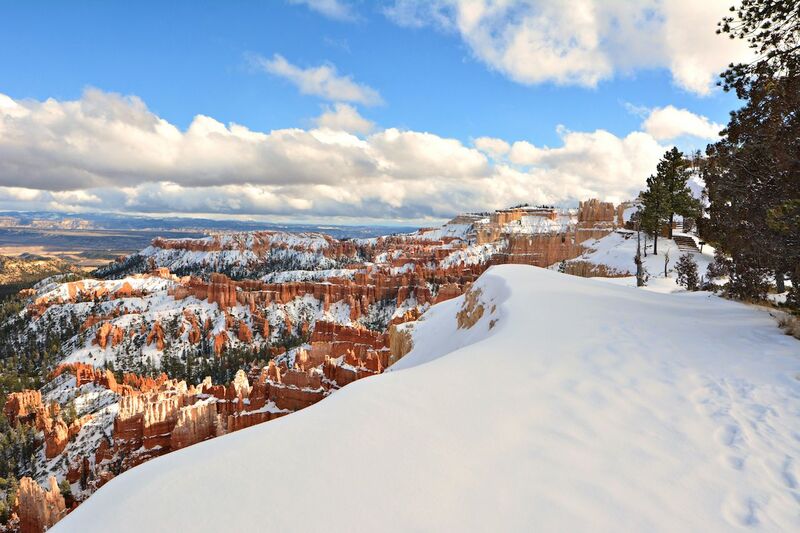 Bryce Canyon makes snowshoeing easy for beginners and experts alike with its snowshoe program, which organizes everything from gear to guides. Trips generally last between 1.5 and 2.5 hours. Guides take snowshoers up along the canyon rim where they can gaze out at the park’s hulking hoodoos, red-orange rock formations that look even more striking against a snow-white backdrop. Park rangers also host full-moon snowshoeing trips after dark between November and March when the snow is sufficiently deep. Snowshoes and poles are provided. 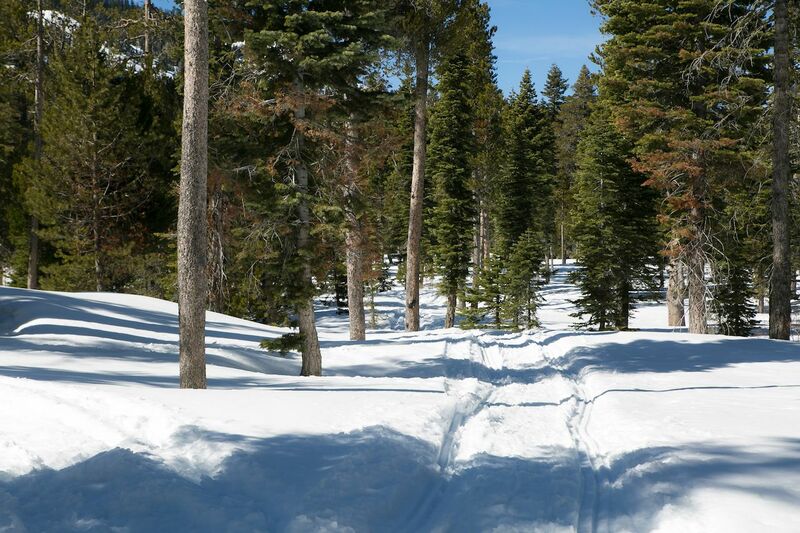 Tons of world-class snowshoe trails surround Lake Tahoe. There are more than 40 miles of scenic trails within the Northstar California Resort alone, which also arranges regular stargazing excursions via snowshoe. At Squaw Valley-Alpine Meadows, you can organize a self-guided tour of the trail network at the Resort at Squaw Creek or make a reservation for a snowshoe dinner event, which has you work for a delicious Alpine-style meal at the Chalet at Alpine Meadows by climbing halfway up the mountain to enjoy it. 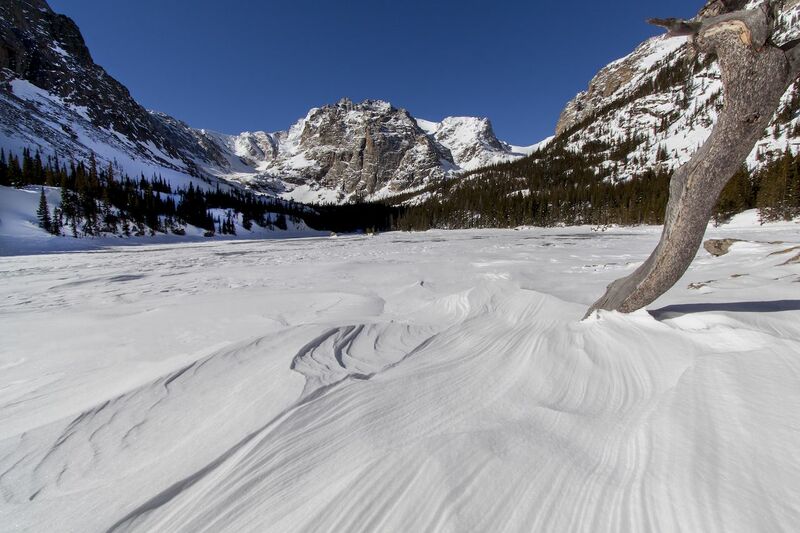 Anyone who’s been to Rocky Mountain National Park knows what makes Colorado so irresistible. Pristine lakes, forests, and tundra beg to be explored beneath some of the loftiest peaks in the state, drawing millions of nature lovers each year. Winter sees the crowds thin out, so it’s the ideal time to get out on the trails. Look out for elk, coyote, and deer on the Gem Lake Trail for a slow and steady 1,000-foot ascent or break a sweat on the Deer Mountain Trail, which ends with sweeping views of the Continental Divide from a 10,000-foot summit. If you prefer to see the park with a guide, ranger-led tours are available on Wednesdays, Saturdays, and Sundays. Vehicle access in Yellowstone is limited come winter, so strapping on a pair of snowshoes is one of the best (and only) ways to see the sights. A nice, groomed trail in the Old Faithful area is the nine-mile return Lone Star Geyser Trail, which winds along the Firehole River right up to the edge of a geyser that erupts every few hours. 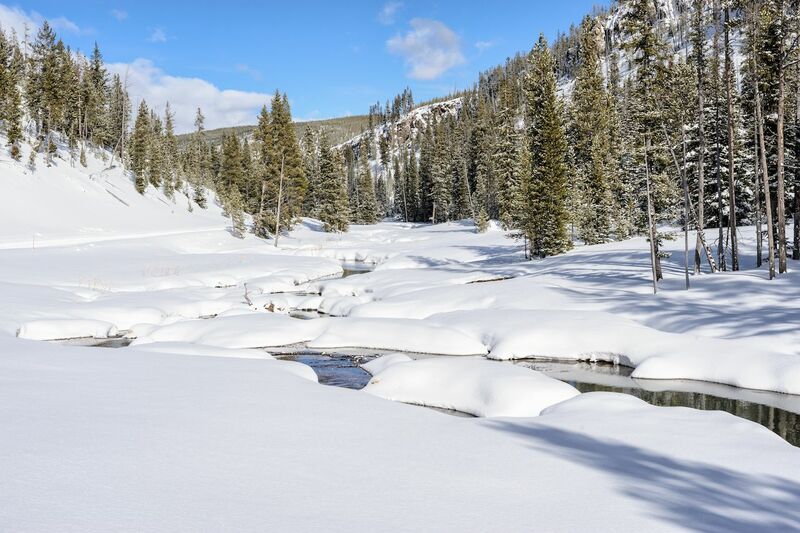 For another perspective, follow the Observation Point Loop Snowshoe Trail across the river and up a series of switchbacks to see the Upper Geyser Basin from above. Go all the way east in Canada and you’ll hit Newfoundland, an island off the east coast that plays host to one of the top national parks in the Great White North. As snow blankets Gros Morne, beloved hiking trails become hot spots for snowshoers, among them the half-mile jaunt to Southeast Brook Falls and six-mile loop around Stuckless Pond. Intrepid adventures can also forge their own paths along the Atlantic coastline or around the base of the park’s eponymous peak. 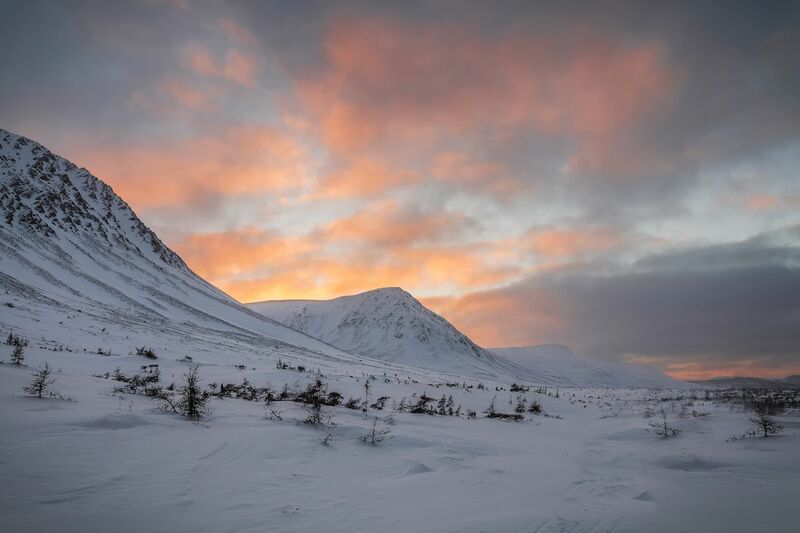 Note that the trails in Gros Morne are largely unmaintained during winter, so you’re in for a true wilderness experience either way.